You’ve heard the acronyms but what does it all mean? We get the inside scoop! Give yourself a professional boost! Guest masterchefs, a farmer’s market, sustainable options and, of course, fabulous food! Coffee tables are versatile creatures – perfect for perching your cuppa, and our mag! From camel riding and stunning vistas, here are some of the highlights! Relocation time again … here’s some help. Three botanical-based facial products, tried and tested for you! Here are the everyday habits affecting your vision. Wondering what roles parents and the schools play? Where’s your next family adventure? Family-friendly destinations including a safari! Whose job is it to keep you well? Here’s what a company can do! It’s a place to live, to dine, to play and to shop! Looking to change your electricity provider? Tekkie Help Singapore will sort you out! Looking for fun and educational things for your kids to do across town? We asked some parents for the inside scoop! Our top six online grocers for organic produce! We chat to long-time housekeeper Shi Ying. When you would you rather shop at home in your PJs. Hear from some happy customers who’ve done just that! For kids who are serious about STEAM! Pre-K too young to start STEAM? No way, says this school. We chat to Dr Wong Chin Ho of W Aesthetics Plastic Surgery, a specialist in this area. Looking for the perfect place to park your posterior on at the end of a long day? Is the Little Red Dot a good place to set up business? We spoke to a couple of experts to help you decide what to buy. 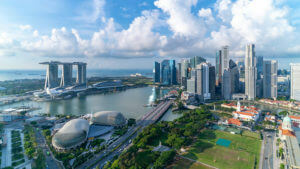 Thinking of moving to Singapore? Find out how to make the big move a little bit smoother. Can high school channel your teen’s passions? Even have them delivered for free!